7.33 acre farm close to HITS (5 mi). Brand new barn apartment, 1 Bedroom, 1 Bathroom, Kitchen & Den, fully furnished, and never lived in. 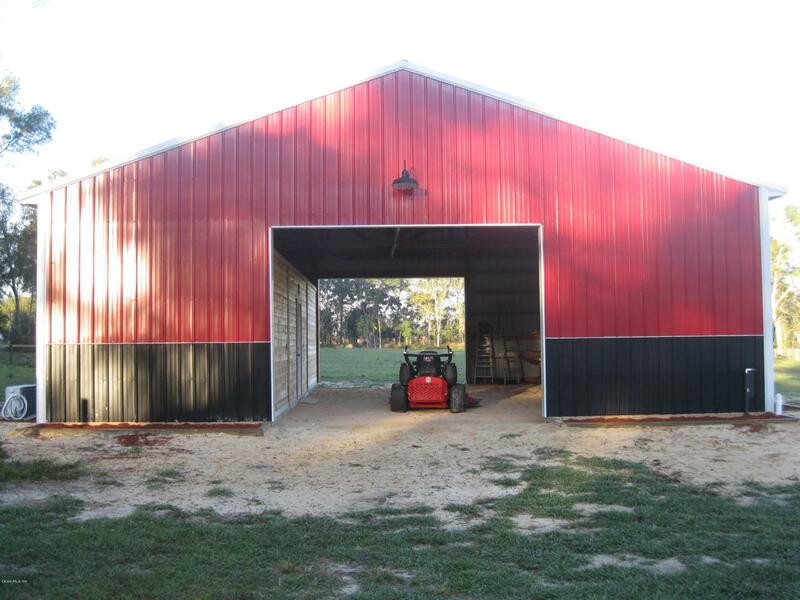 Apartment is 400+ Sq ft. Barn is 36' x 38' with 14 ft center aisle. Room for another apartment or 3 12' x 12' stalls. Perimeter fenced with top board & wire , cleared and in pasture w/Argentine Bahia. Underground electric, well water and septic to barn apartment and RV hookups. This would make a perfect seasonal retreat or full-time property for a trainer or HITS competitor. Property is high and dry and has paved roads on both sides. It is located in an area of upscale farms. Owner/AgentAll info deemed correct. However, Desiree Barbazon and Associates will not be held responsible for inaccuracies. Possible owner financing.All info deemed correct however Desiree Barbazon and Associates will not be held responsible for inaccuracies. Possible owner financing. Lease/Purchase considered. Listing provided courtesy of Mike Hajjar of Desiree Barbazon Realty.